Miami, Florida – News reports have highlighted patients seeking cosmetic surgery in pursuit of some “celebrity look.” One Miami teen, 15, traveled to Latin America, where her family spent $16,000 on liposuction, breast implants and buttock fillers. Her goal was to look like her celebrity idol: singer Jennifer Lopez, or J-Lo. Price shopping cosmetic surgery on the international market or corner clinic – whether in pursuit of some celebrity’s appearance or just to save money in hopes of improving one’s looks – is a dangerous proposition, said Dr. Sean Simon, M.D., a double Board Certified Plastic Surgeon in Miami, Florida. To any plastic surgeon in Miami, South Florida or across the country, consumers pursuing cosmetic surgery to look like a celebrity is not new. Yet news reports about this trend raise several important issues. First, regulations and oversight can be lax. Many consumers travel to Latin America, and specifically Colombia, in pursuit of plastic surgery at a lower cost than that found in the U.S. Yet, regulations with regard to plastic surgery and aesthetic non-surgical treatments in those countries often are not as strict as those in the U.S. Second, cost should never be the primary determining factor when selecting a plastic surgeon. Across South Florida, low-price clinics offer cosmetic procedures at cut-rate prices. Corners are being cut somewhere; the patient can ultimately suffer. Always consult with qualified surgeons board certified by the American Board of Plastic Surgery. Third, surgeons always consider the patient’s age before agreeing to perform any procedure. In this case, the 15-year-old girl’s body likely had not fully matured. Most commonly at this age, maturity arrives with the completion of puberty. For some, this arrives in the late teens. Therefore, any breast augmentation or breast implants, buttock augmentation or liposuction performed may change shape or form as the body continues to develop and mature. Augmentation on other areas, like the ears and nose, may be more suitable for younger patients. For children with prominent ears, for example, surgery should be done before the child reaches the age of 7 to help ensure better results. Even rhinoplasty or a nose job can be done on teens. But body sculpting or other physical augmentation is best done at adulthood. What’s more, it’s important that the patient be emotionally mature – and have the support of family before undergoing aesthetic plastic surgery. Sometimes, the parents must exercise their wisdom – as opposed to acquiescing to the whims or desires of their minor child. Finally, most patients who pursue some celebrity’s appearance cannot physically achieve it. Often patients look nothing like the celebrities they seek to emulate. Surgery can only accomplish so much. ABOUT DR. SEAN SIMON M.D. Dr. Sean Simon M.D. is a double Board Certified Plastic Surgeon who has run a successful private practice in Miami, Florida, since 2006. 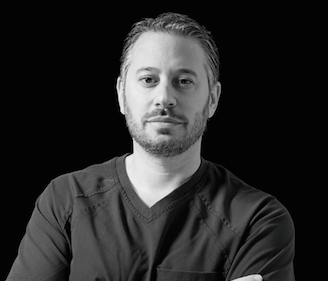 A graduate of the prestigious University of Miami Miller School of Medicine, Dr. Simon specializes in the most advanced techniques for procedures such as breast augmentation, breast lift, tummy tuck, body sculpting and buttocks augmentation as well as reconstruction after breast cancer surgery. Additionally he offers Laser Liposculpture, Laser Hair Removal and skin treatments utilizing the most technologically advanced Palomar laser systems. Dr. Simon’s office is located at 6200 Sunset Drive, Suite 501, in Miami, Florida.